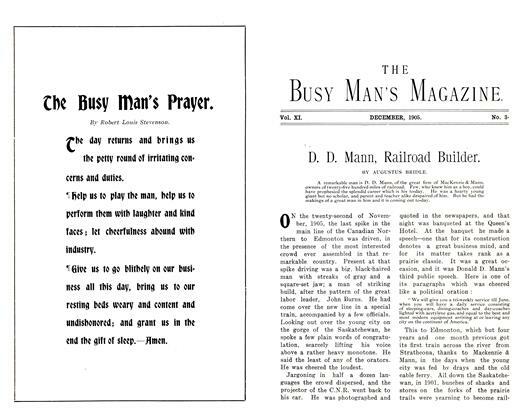 D. D. Mann, Railroad Builder. 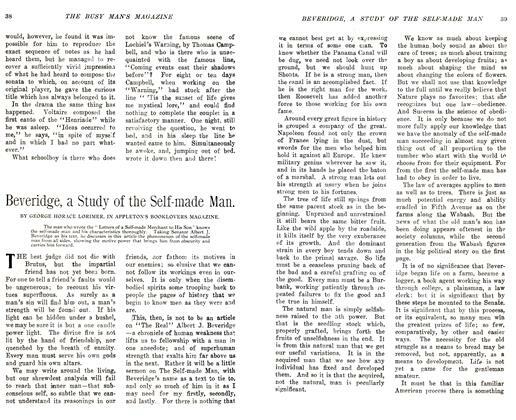 Beveridge, a Study of the Self-made Man. 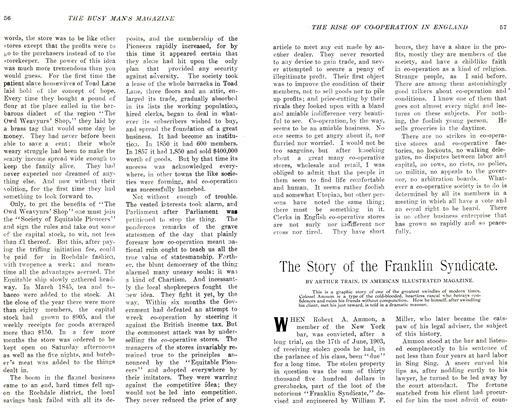 The Story of the Franklin Syndicate. 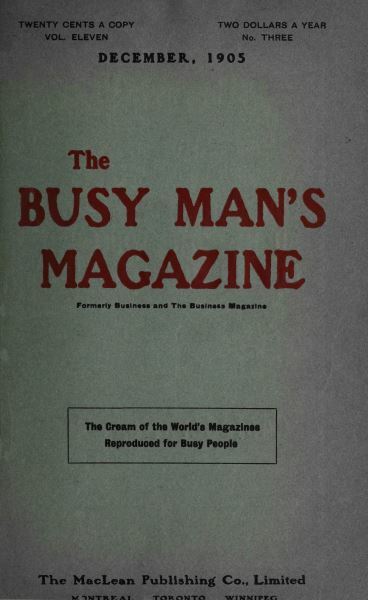 A portrait of Ellis Parker Butler, author of the now famous story "Pigs is Pigs," is one of the features of the December number. The romantic serial “Prisoners," by Mary Cholmondeley, reaches its second installment. There is a pretty set of colored pictures depicting “The Child’s Christmas," while in an article on “The Story of American Painting," several very beautiful examples of the work of American artists are reproduced. The Automobile’s Service to France. The Rise of Co-Operation in England. The Romance of the Auction Room.